As the iconic Beetle drives into the sunset in 2019, VW will offer two special models – the Final Edition SE and Final Edition SEL – in celebration of its long and rich heritage with drivers in North America. The Final Edition will be available as both coupe and convertible. Each will be very well equipped and include Final Edition unique upscale décor elements designed to send the Beetle off in style. Models will also draw inspiration from the first-generation Beetle’s final run in Mexico, where the vehicle is assembled. Back when the Beetle was (last) revived in 2003, the Última Edición (last edition) models were only available in two colors—beige and light blue. 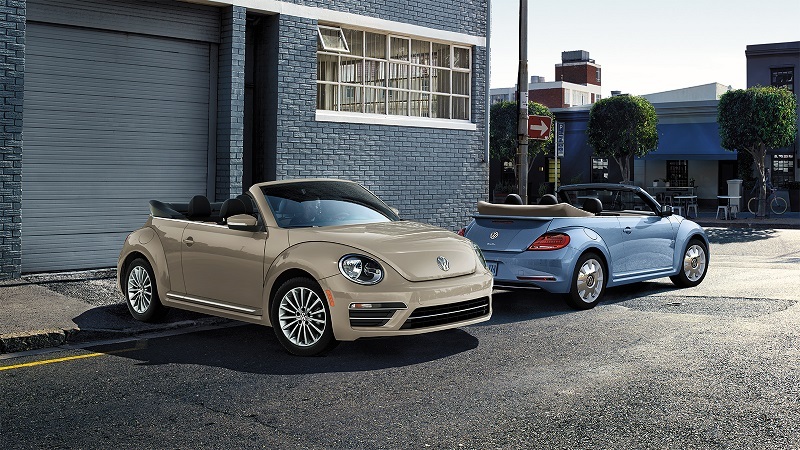 2019 Final Edition models will feature two unique colors: Safari Uni—a reinvention of Harvest Moon Beige, a color from the New Beetle—and Stonewashed Blue, a nod to the 1970 Jeans Bug and most recently seen on the 2016 Beetle Denim. Final Edition models will also be available in Pure White, Deep Black Pearl, and Platinum Grey. Convertible Final Edition SEL models – in every exterior color except Safari – Uni will be available with a unique Brown soft top. 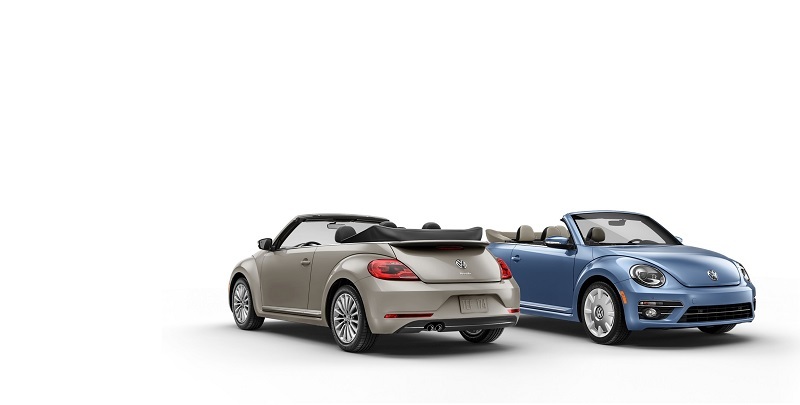 Final Edition coupe models feature standard chrome treatments like the original Última Edición models.Some of them include body-color side mirrors, heated washer nozzles (all standard features across the Beetle Convertible lineup), as well as a sunroof. Final Edition SEL models will be equipped with Bi-Xenon headlights with LED Daytime Running Lights (DRLs), LED taillights, and fog lights. Unique wheels complete the exterior transformation of Beetle Final Edition models. Final Edition SE models feature 17-inch aluminum-alloy wheels with a 15-spoke design. Final Edition SEL models are sport 18-inch white aluminum-alloy wheels in a disc design that is reminiscent of the Última Edición’s body-colored steel wheels fitted with chrome hubcaps and whitewall tires. All Final Edition models replace the typical “Turbo” badge on the tailgate with a “Beetle” badge. On the inside, Final Edition models will be equipped with standard keyless access with push-button start, a leather-wrapped multi-function steering wheel with unique “Beetle” clip, stainless steel pedal caps, automatic climate control, gloss black center console, a unique Safari Uni color dashpad with the classic ‘kaeferfach’ glovebox or “Beetle bin” with color-matched interior treatments much like the Última Edición, and three-color ambient lighting. 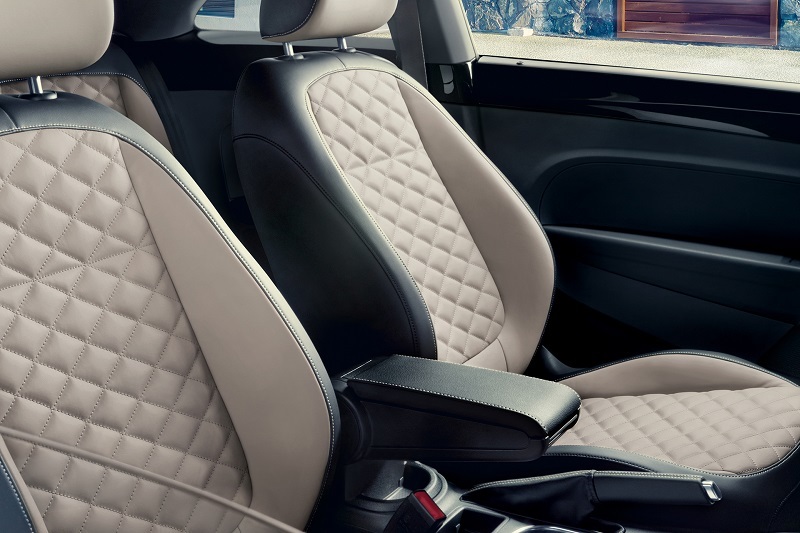 Final Edition SE models will feature cloth and leatherette rhombus-pattern seats, while SEL models offer standard diamond-stitched leather seating surfaces. Final Edition SE models will feature a Composition Media infotainment unit with a 6.3-inch capacitive touchscreen display, Bluetooth technology for compatible devices, USB multimedia port, SiriusXM radio, Voice Control, and Volkswagen Car-Net App-Connect smartphone integration. Upgrade to Discover Media infotainment with navigation, Car-Net Security & Service, and Guide & Inform, as well as Fender® Premium Audio will be available. 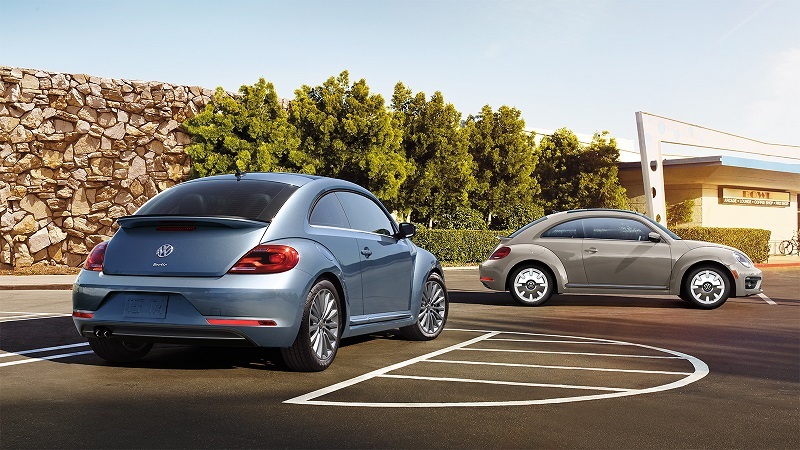 Beetle Final Edition models will also offer driver-assistance technology. SE models include standard Blind Spot Monitor Rear Traffic Alert. Final Edition SEL models add standard front and rear Park Distance Control. 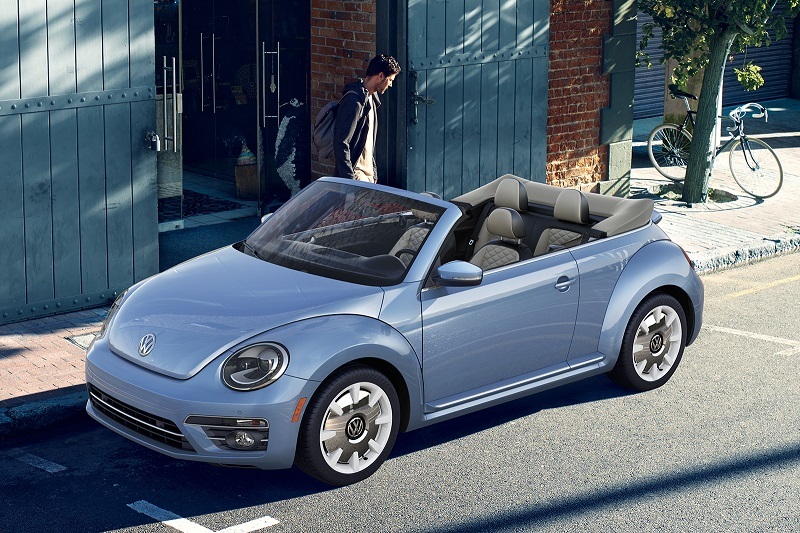 All 2019 Beetle models, including Final Edition convertible and coupe, are powered by the 2.0L TSI engine that puts out 174 horsepower and 184 lb-ft of torque. All models are paired with a six-speed automatic transmission and deliver an EPA-estimated fuel economy rating of 26/33 mpg city/highway and 29 mpg combined. 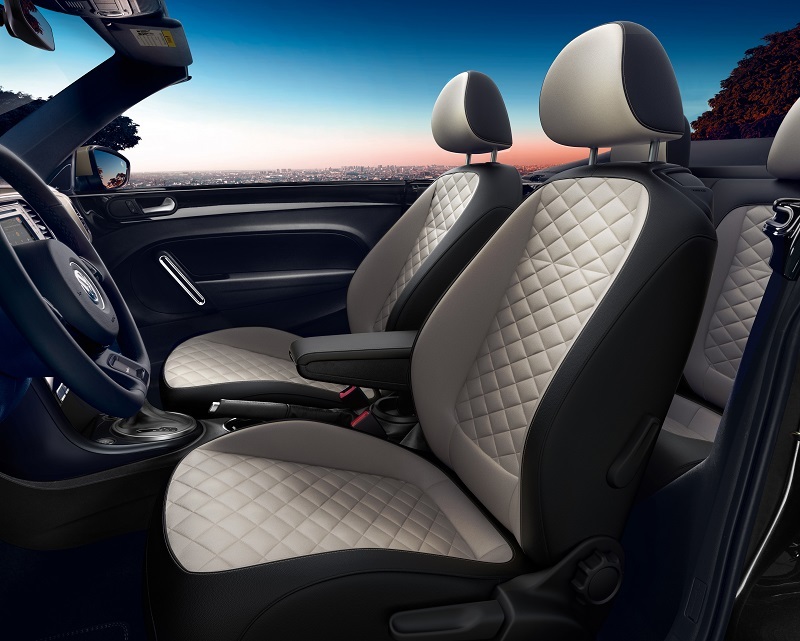 The 2019 Beetle Final Edition coupe starts at $23,045 for SE models and $25,995 for SEL models. Convertible Final Edition pricing starts at $27,295 for SE models and $29,995 for SEL models. The destination charge for all Beetle models is an additional $895.